I used to have a big, gray G-shock wristwatch. The band on it was made of a stretchy, elasticized material. Every day after work I would ride my bicycle while wearing that watch. All summer long I would pedal, pedal, pedal – keeping time with my G-Shock watch. The more I would pedal, pedal, pedal under the summer sun the more sweat would build up in my watchband. I had to be diligent about washing it if I knew what was good for me. Over time the watch would grow rather…ripe. In the course of doing something as natural and mundane as putting my hair up in a ponytail, my hand would sweep past my face and I would catch a whiff of my pungent watchband. It had a cheesy and slightly rancid smell; the smell of weeks of sweat trapped in its fibers. Out of some sick, perverse human inclination I would willfully take a whiff of the band every now and then. I knew it stunk and still, I would periodically smell it. On purpose. The Buell Battlewtin reminds me of my smelly watchband. 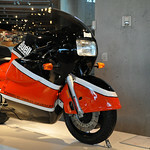 It’s hideous and yet, I was unable to tear my eyes away from looking at it while we visited the Barber Museum. I repeatedly found myself drawn to it’s absurdly bulbous Beluga whale-ness. It looks like something they built 50 years ago as a representation of what motorcycles would look like in the year 2000 when we lived on the moon. The RR 1200… more power AND a rainbow! The 80’s were an interesting time. They gave rise to being gagged with a spoon, Flock of Seagulls haircuts and the Battletwin. 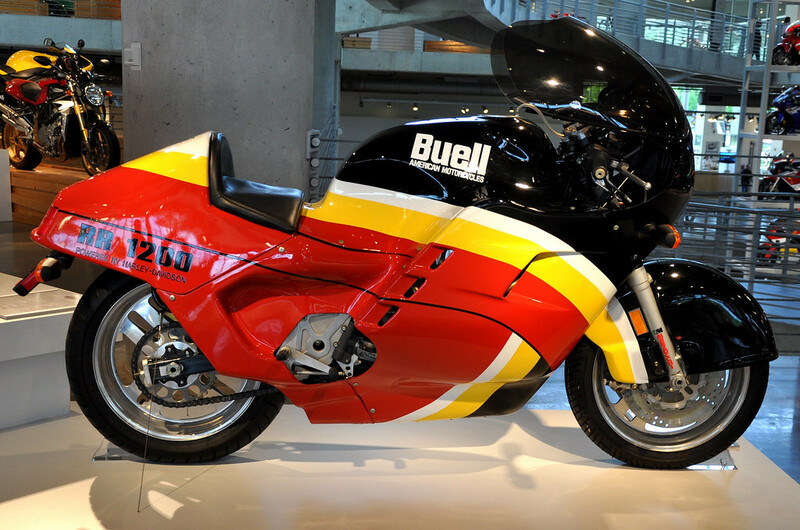 Erik Buell‘s strange creation was first birthed in his workshop in 1985. 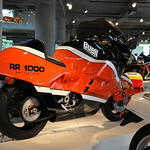 While the Italians at Ducati were busy creating the beautiful 851, America’s forward thinkers were busy with this. Is there ever really an excuse for a Caldor rainbow on a motorcycle? And yet, for all it’s strangeness – I just can’t quit it! I can’t stop looking at it. Am I alone here? “Beluga whale-ness”? What an appropriate description. 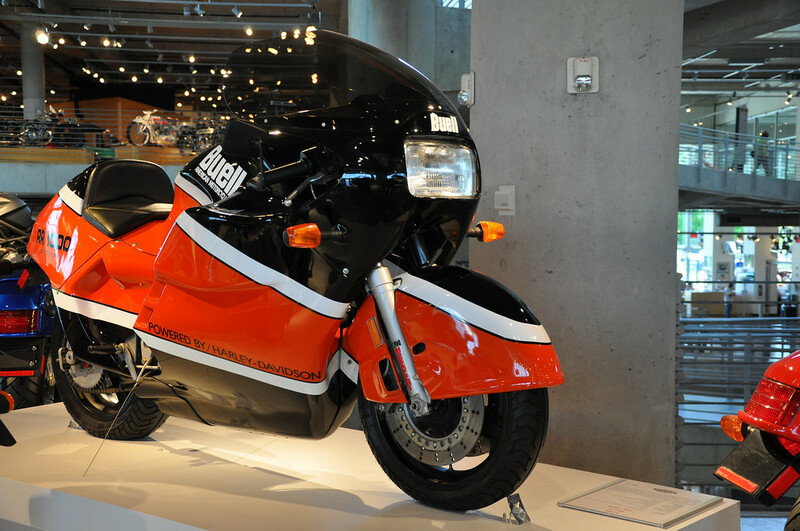 I am not nearly as interested at looking at motorcycles as you are, but even I want to go to that museum now. It looks awesome. And I’ve never even heard of the place before. Erik Buell is certainly an innovative designer. As designers go, their actual outcomes are hit or miss. 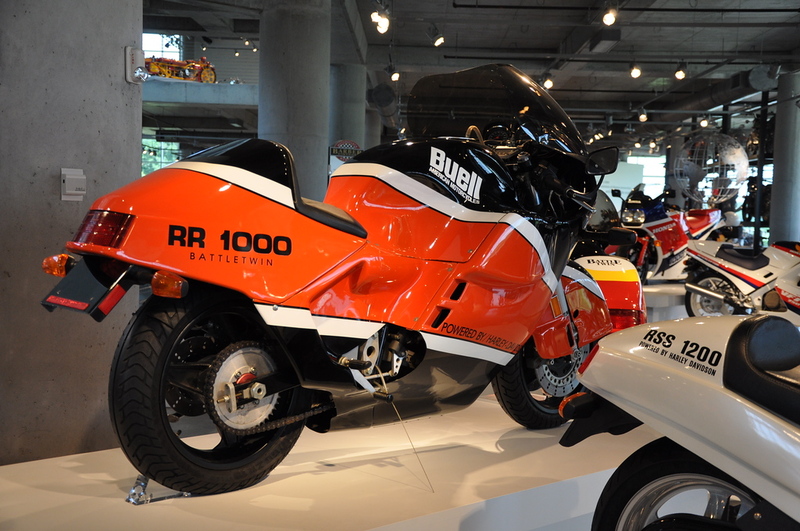 The RR 1000 Battletwin is certainly a swing and miss in the looks department. 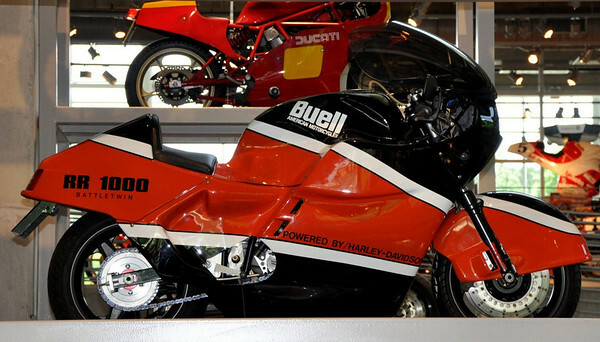 My inner Machiavelli says that down the line Buell had some enticing designs which provide a reason for this ugly duckling. Sometimes the end justifies the means. I hope Buell finds a way to continue his work. Instagram: Fatties on the beach.